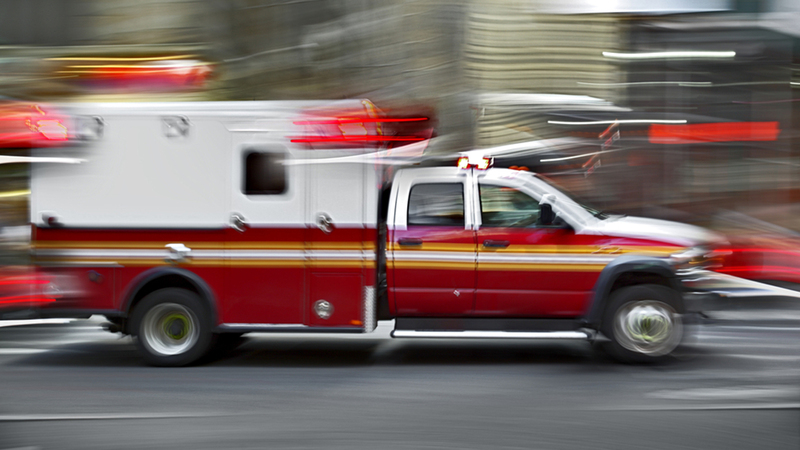 CHICAGO (WLS) -- Three paramedics were injured after a brick was thrown at an ambulance in the Woodlawn neighborhood on the South Side Thursday afternoon, Chicago police said. The ambulance was in the 6500-block of South Stony Island Avenue when at about 12:44 p.m., a male suspect threw a brick through the window, police said. Three paramedics were injured and transported to an area hospital with non-life threatening injuries, police said. No one is in custody in connection with the aggravated battery incident. Chicago police are investigating.